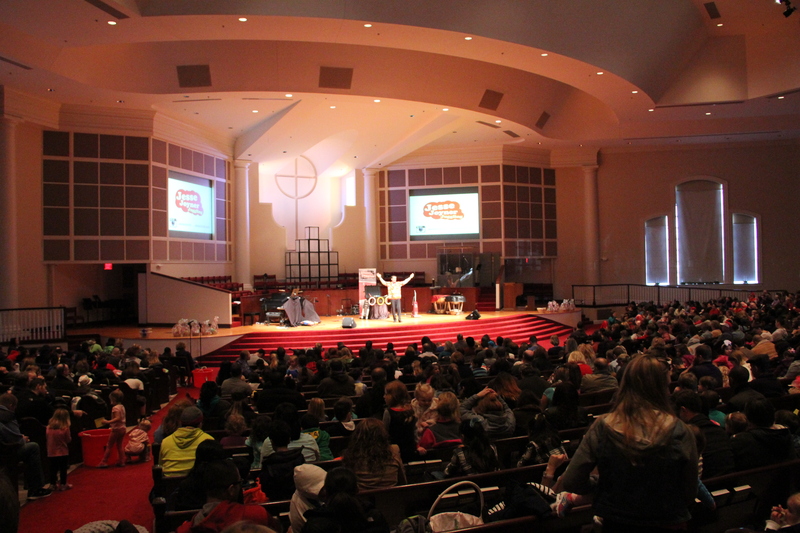 A few weeks ago, I got to share my show with First Baptist Church in Woodbridge, VA. It was a cold Saturday in early Spring but over a thousand people still showed up! 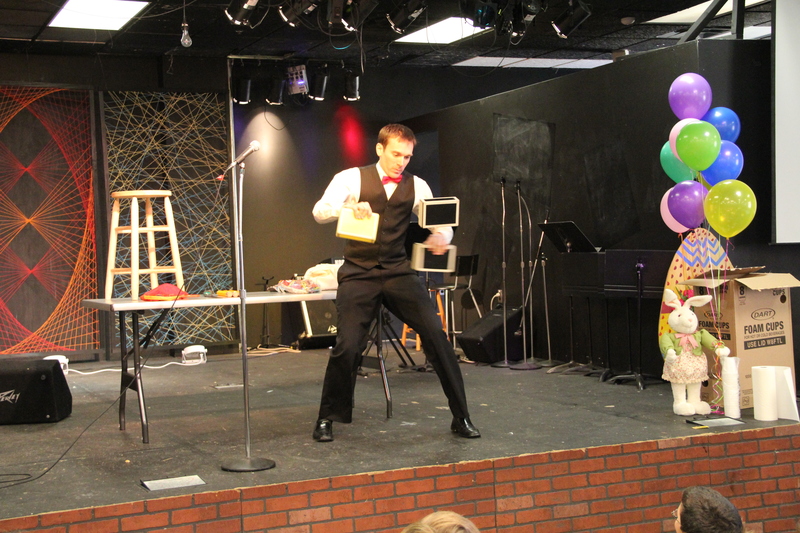 I did two shows – one in the large sanctuary before the egg hunt and a second in a small cafe-like setting for a smaller lunch crowd. It was a lot of fun. 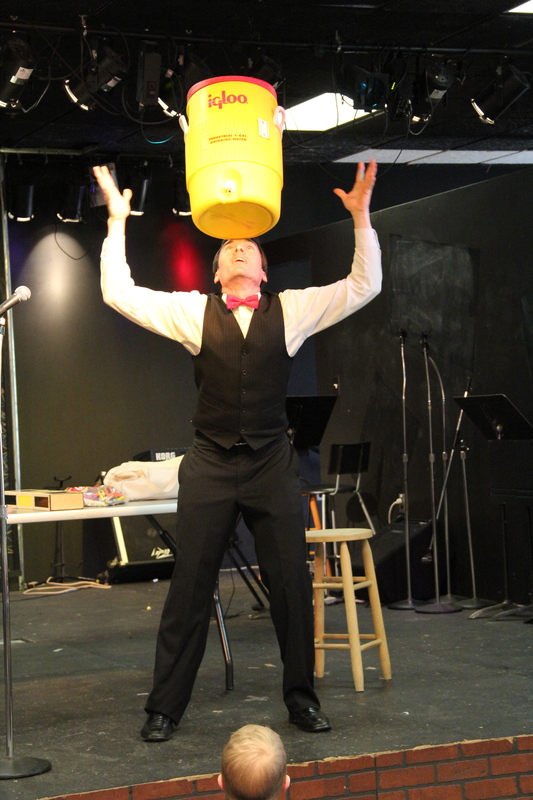 I got to share about the real meaning of Easter while having fun with audience volunteers and juggling a variety of objects. 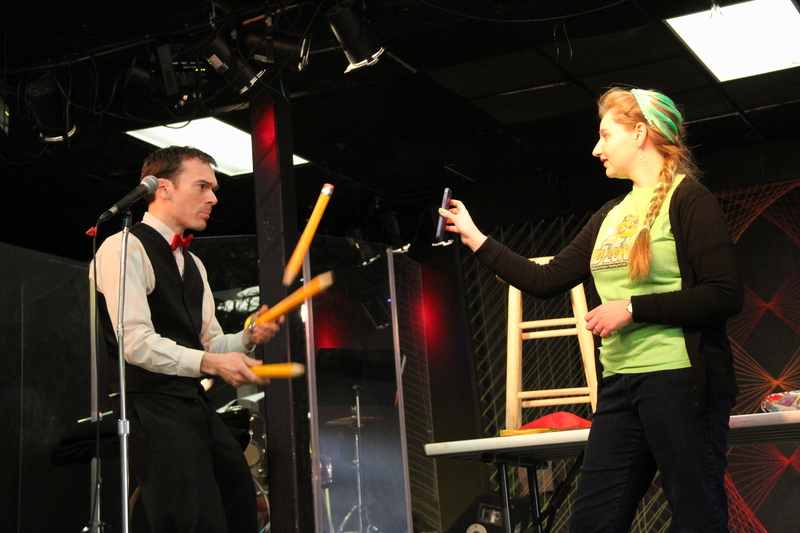 One of my favorite parts was calling up a young lady and juggling while I read from her address book on her smart phone (she gave me permission to do so). It’s amazing what you learn about people from their list of contacts! Thanks to Bill Bennett for the pics…. It was a fun show! Reading her smart phone contacts. Some work with cigar boxes.